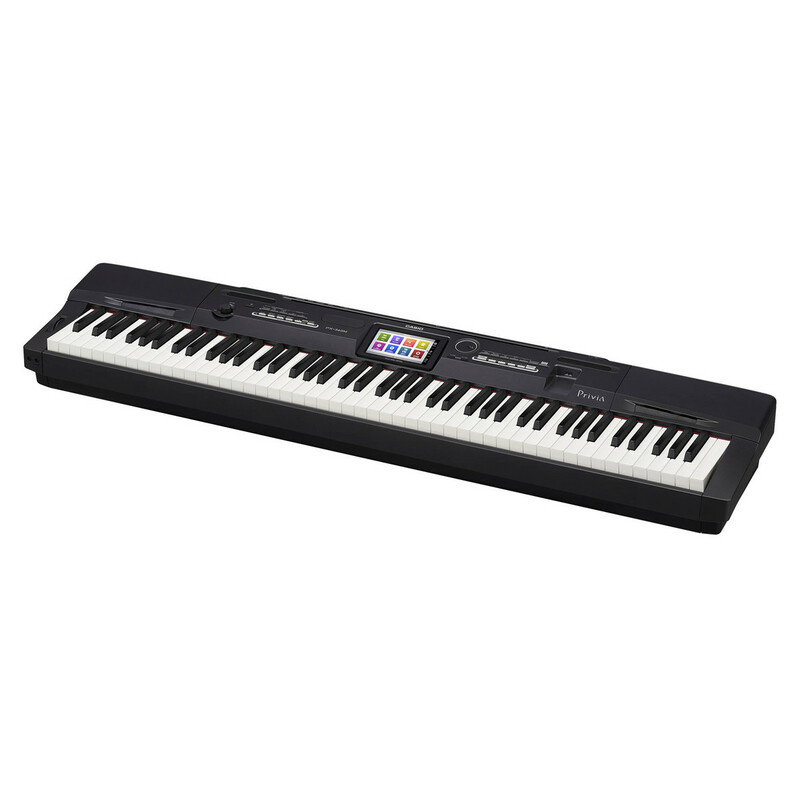 The Casio PX 360 Digital Piano comes packed with all the tones, rhythms, effects, and tools that enable you to achieve exciting and inspiring sounds. It features a colourful, easy to use 5.3'' screen, which can allow a plethora of modification to be accessible to any user. Not only is the desired sound easy to access, it is dynamically rich thanks to the Acoustic and Intelligent (AiR) technology, combining the strengths of a digital piano's versatility with an acoustic piano's full and layered sound. A 5.3" colour screen is positioned central to the PX 360. The easy to use design and vibrant aesthetics make it accessible for all, as well as being fully responsive to touch. With this intuitive feature, the PX 360 is able to house 200 built in rhythms, multiple chorus, reverb and delay effects, as well 550 built in tones for endless options and possibilities to accommodate for players of various different playing styles. 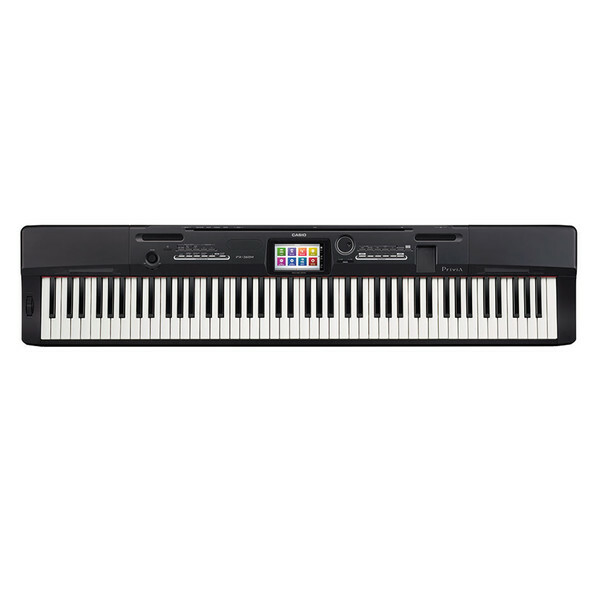 The technology packed into the PX 360 starts with the quality of the sound the keys originally produce. 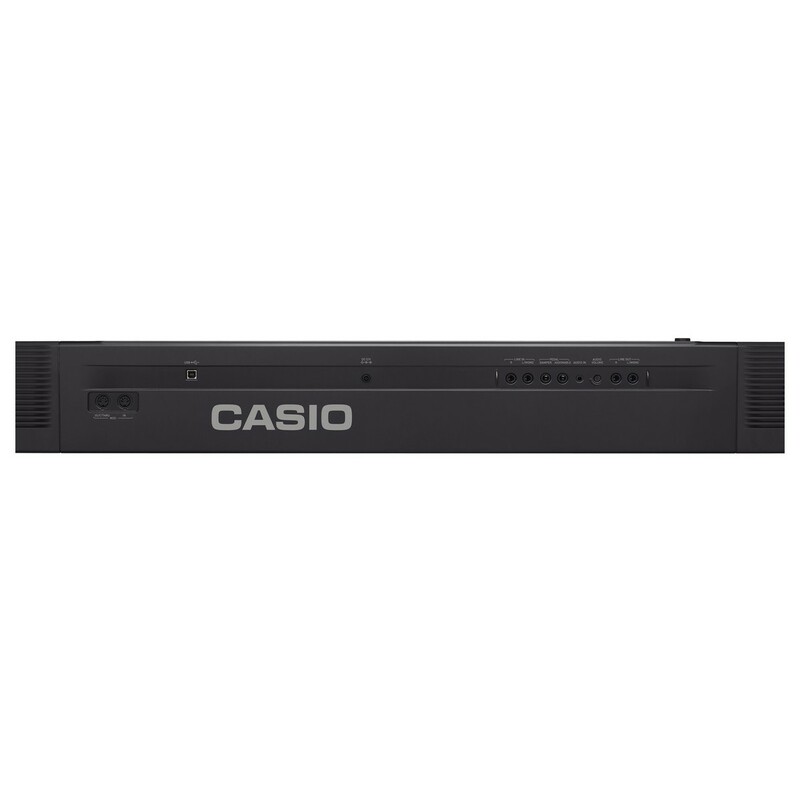 This is optimized by Casio’s own AiR (Acoustic and Intelligent Resonator) Sound Source technology. This gives more versatility in the how the pressure from the player’s touch affects the sound, revealing a dynamic range that accommodates the softest and loudest noise. The String Resonance Technology will then recreate the accurate harmonics that would be produced from an acoustic piano’s own chamber. Also included is a Hammer Response Feature with 127 times the accuracy of traditional keyboards and Key Off Simulation, meaning each keystroke’s attack and decay will be determined by the player, so every performance can have the same organic variation as an acoustic grand piano. The PX 360 equips a large variety of musical instruments and sounds thanks to 550 Tones including guitars, basses, and drums, so the music doesn’t stop with the piano. There are also 200 Rhythms, which can accompany and provide a full band of many genres to the player from just the touch of a button. If you’re after a more specific rhythm, there’s the availability to create up to 50 Music Presets, so that you can play your songs your way. On board with the PX 360 is a USB port, which allows the player to record directly onto a USB stick into a Mac, PC, or iOS device quickly and efficiently. There’s also the ability to record up to 16 tracks thanks to an included MIDI system, and all is easy to do with the simple colour screen.